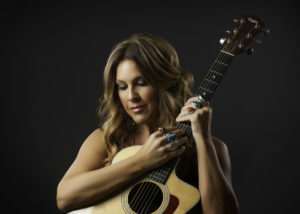 Tania Warnock cut her musical teeth as a teenager in Sioux Falls, South Dakota, sneaking into honkytonks and singing with a variety of country bands. Her early influences ranged from Dolly Parton and Linda Ronstadt to Janis Joplin and Joan Baez. It wasn’t until she moved to Oklahoma, and began to reevaluate her musical career, that she became acquainted with Red Dirt Music by the likes of Chuck Dunlap, Chad Sullins, Tom Skinner and Mike McClure. It was through these legends that she discovered her love for the genre that is decidedly Oklahoma born music. The way she tells it, Bob Childers’, Dance with Gypsies, helped her find her voice as a female Red Dirt artist.